KANSAS CITY, Mo. 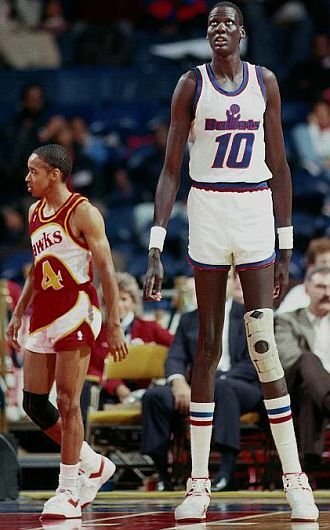 — Manute Bol, a lithe 7-foot-7 shot-blocker from Sudan who spent 10 seasons in the NBA and was dedicated to humanitarian work in Africa, died Saturday. He was 47. In the years after he left the NBA, Bol devoted himself to humanitarian work in his native Sudan and had actually just returned from there to start a project to build a new school in his home village. It’s believed that the skin disease he contracted may be related to something he encountered on that trip. 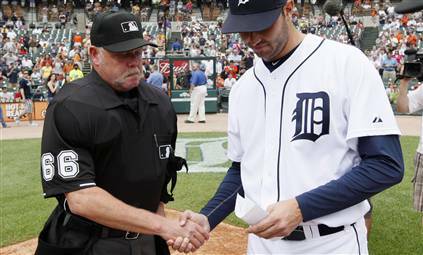 Jim Joyce, the umpire whose missed call deprived Detroit Tigers pitcher Armando Galarraga of a perfect game on June 2, is baseball’s best umpire nonetheless, according to an exclusive ESPN The Magazine Baseball Confidential poll of 100 major league players. Joyce was named in 53 percent of the surveys, which asked players for the three best and three worst umpires in the game, as well as questions about instant replay and whether Galarraga’s perfect game should stand. That beat runner-up Tim McClelland, who ironically was panned for his performance in Game 4 of last year’s American League Championship Series. McClelland was named on 34 percent of the ballots. 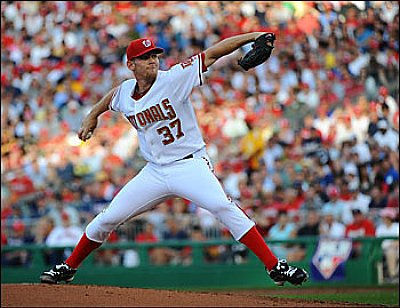 Joyce, in his 22nd year in the majors, was the clear choice of National League players, with Jim Wolf (18 percent) second. Joyce and McClelland, a 27-year veteran, tied for first among American League players (52 percent) — both were former AL umpires before baseball combined its umpires into one entity in 1999. The survey was taken after Joyce’s call, which came on what would have been the final out of a perfect game for Galarraga. 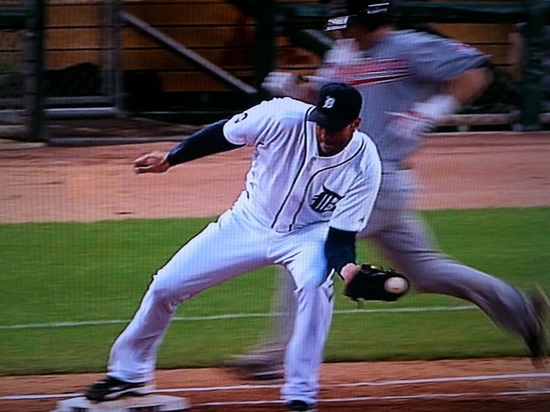 Joyce called Cleveland’s Jason Donald safe at first on a ground ball hit to first baseman Miguel Cabrera, who threw to Galarraga covering the bag. Replays showed Donald was clearly out. Overturn calls in Galarraga game? Interesting to say that least, and if the players don’t want instant replay then perhaps those clamoring for it need to stop and think for a bit. John Wooden, a staid Midwesterner who migrated to U.C.L.A. and became college basketballâ€™s most successful coach, earning the nickname the Wizard of Westwood and an enduring place in sports history, died Friday at Ronald Reagan U.C.L.A. Medical Center, where he had been hospitalized since May 26. He was 99. Wooden created a sports dynasty against which all others are compared, and usually pale. His teams at U.C.L.A. won 10 national championships in a 12-season stretch from 1964 to 1975. From 1971 to 1974, U.C.L.A. 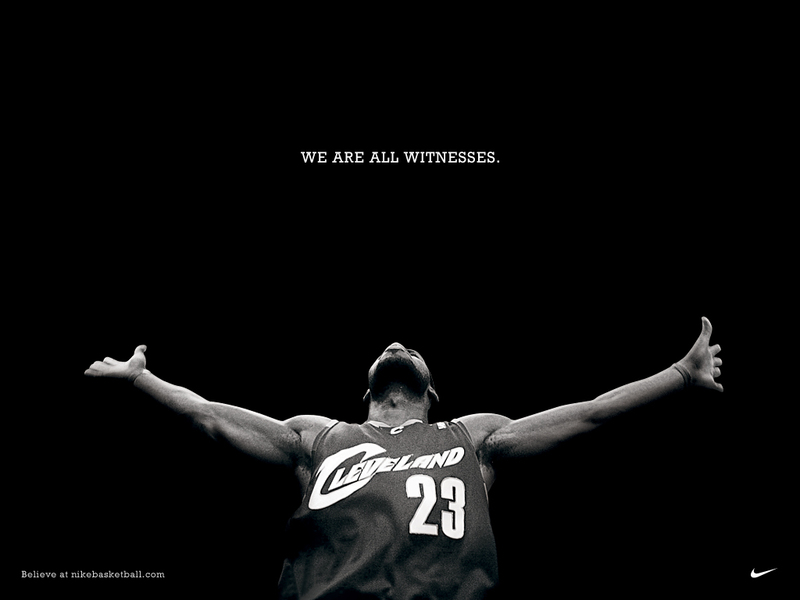 won 88 consecutive games, still the N.C.A.A. record. Four of Woodenâ€™s teams finished with 30-0 records, including his first championship team, which featured no starters taller than 6 feet 5 inches. Three of his other championship teams were anchored by the 7-foot-2 center Lew Alcindor, who later changed his name to Kareem Abdul-Jabbar. Two others were led by center Bill Walton, a three-time national player of the year. Wooden retired after U.C.L.A.â€™s 1975 championship victory over Kentucky. A slight man hugely popular for his winning record and his understated approach, he ultimately became viewed as a kind of sage for both basketball and life, a symbol of both excellence and simpler times. Even in retirement he remained a beloved figure and a constant presence at U.C.L.A., watching most games from a seat behind the home bench at Pauley Pavilion. Lines of well-wishers and autograph-seekers often snaked their way to his seat in Section 103B. Wooden always obliged his fans, until the university and his family requested that he be granted privacy in January 2008, when he was 97. A dynasty like Woodenâ€™s would be almost impossible now, because the best players seldom spend more than a year or two in college before turning professional. No N.C.A.A. menâ€™s basketball coach has won more than four championships since Wooden retired. Of Woodenâ€™s eight coaching successors at U.C.L.A., only one â€” Jim Harrick in 1995 â€” won an N.C.A.A. 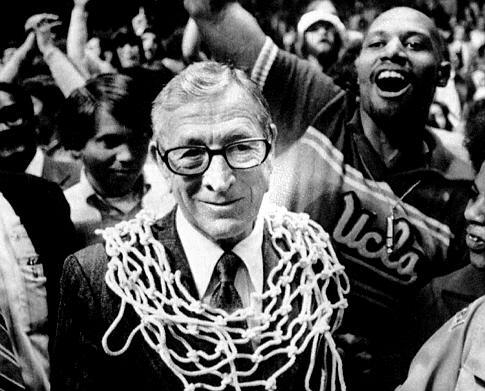 championship with the Bruins, who have managed to retain an air of the elite among basketball programs largely on Woodenâ€™s legacy. Woodenâ€™s success fed upon itself. When he won his first two national championships, landed Alcindor and moved home games to the new Pauley Pavilion, high school stars begged to play for him. Besides Abdul-Jabbar and Walton, Wooden turned out celebrated players like Gail Goodrich, Walt Hazzard, Keith Erickson, Henry Bibby, Lucius Allen, Sidney Wicks, Jamaal Wilkes and Marques Johnson. College basketball is a much different game than it was in Wooden’s game, and it’s unlikely we’ll see the likes of him ever again. Baseball commissioner Bud Selig said he would look at the game’s umpiring system and the expanded use of instant replay, but would not reverse the blown call that cost Armando Galarraga of the Detroit Tigers a perfect game on Wednesday night. Selig said he would consult with baseball’s labor unions and the game’s special committee for on-field matters before announcing any decisions. Selig also praised umpire Jim Joyce, whose blown call in the bottom of the ninth cost Galarraga the perfect game, for his handling of the situation afterwards, as well as Galarraga and Tigers manager Jim Leyland. “The dignity and class of the entire Detroit Tigers organization under such circumstances were truly admirable and embodied good sportsmanship of the highest order,” Selig said. “[Galarraga] and Detroit manager Jim Leyland are to be commended for their handling of a very difficult situation. “I also applaud the courage of umpire Jim Joyce to address this unfortunate situation honestly and directly. 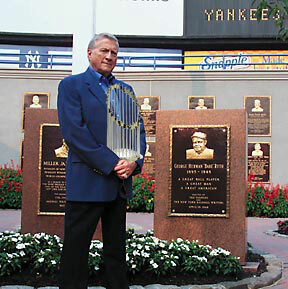 Jim’s candor illustrates why he has earned the respect of on-field personnel throughout his accomplished career in the Major Leagues since 1989,” Selig said. (a) Any umpireâ€™s decision which involves judgment, such as, but not limited to, whether a batted ball is fair or foul, whether a pitch is a strike or a ball, or whether a runner is safe or out, is final. No player, manager, coach or substitute shall object to any such judgment decisions. There is no process for appealing such a judgment call, and no authority under the rules for an appeal of such a judgment call to the Commissioner, or any other authority. The only way Selig could have “fixed” this would have been to ignore the rules and manipulate the results of a baseball game after the fact; and that would have been just as wrong as Jim Joyce’s bad judgment call last night, if not worse. There’s news this afternoon that Major League Baseball is considering reviewing the blown call that ruined Armando Gallaraga’s perfect game last night. Assuming that it can be done without completely disregarding the rules of baseball, I think it would beÂ proper thing to do. On July 4, 1908, Hooks Wiltse of the New York Giants hit Philadelphia Phillies pitcher George McQuillan on a 2â€“2 count in a scoreless gameâ€”the only time a 0â€“0 perfect game has been broken up by the 27th batter. Umpire Cy Rigler later admitted that he should have called the previous pitch strike 3. Wiltse pitched on, winning 1â€“0; his ten-inning no-hitter set a record for longest complete game no-hitter that has been tied twice but never broken. On August 5, 1932, Tommy Bridges of the Detroit Tigers gave up a pinch-hit single to the Washington Senators’ Dave Harris. On September 2, 1972, Milt Pappas of the Chicago Cubs walked San Diego Padres pinch hitter Larry Stahl on a borderline 3â€“2 pitch. Pappas finished with a no-hitter. The umpire, Bruce Froemming, was in his second year; he went on to a 37-year career in which he umpired a record 11 no-hitters. 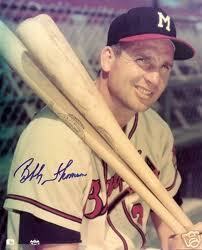 Pappas believed he had struck out Stahl, and years later continued to bear ill will toward Froemming. On April 15, 1983, Milt Wilcox of the Tigers surrendered a pinch-hit single to the White Sox’ Jerry Hairston, Sr.
On August 4, 1989, Dave Stieb of the Toronto Blue Jays gave up a double to the New York Yankees‘ Roberto Kelly, followed by an RBI single by Steve Sax. Stieb finished with a 2â€“1 victory. And then, of course, there’s Gallarga. Small consolation, yes, but at least it’s something. NEW YORK — It is the worst nightmare of both the pitcher and the hitter, the ball that is hit so hard there is simply no time to duck, no time to react, no chance for the elemental reflex of self-preservation. It happened in the third inning of Saturday’s Yankees-Indians game, and for several heart-stopping, breath-holding minutes, it was easy to imagine that the worst thing that could happen on a baseball field had just happened, in full view of 46,000 spectators. Cleveland right-hander David Huff threw a pitch to Alex Rodriguez, and before either of them could possibly have known what was happening, the ball was back in the pitcher’s face, smacking with a THWACK! off Huff’s left temple that must have been audible in the remotest sections of the ballpark. Huff, a 25-year-old in his second big-league season, fell face down and motionless on the pitcher’s mound. Rodriguez, reacting with a hitter’s instinct, barreled around first base and into second. Nick Swisher, on second base, came around to score. The baseball, ricocheting as sharply as if it had hit concrete, wound up in right field. And the hearts of 46,000 people leaped into 46,000 throats as a crowd of teammates, trainers and paramedics rushed to the mound and the fallen pitcher. Rarely has Yankee Stadium been as quiet as it was at that moment and rarely has a ballgame there suddenly seemed so unimportant. As the medical staff worked over Huff, who did not move for what seemed like hours, Rodriguez and Swisher dropped to their knees, their eyes focused on the ground. Huff was taken to an ambulance waiting by the service gate beyond the left-center field fence and rushed to New York Presbyterian Hospital, where a CT scan revealed no neurological damage. The pitcher was kept briefly for observation and then sent back to Yankee Stadium. Meanwhile, Rodriguez, who was visibly affected by the incident, left the ballpark immediately after the game and called a Yankees publicist from his car for the location of the hospital, hoping to visit Huff before he was released. Learning that Huff was on his way back to the ballpark, Rodriguez was given the player’s cellphone number and was trying to reach him Saturday night. “Your heart stops. You want so badly to take it back,” Rodriguez said in a statement relayed through Jason Zillo, a Yankees publicist. “You’re scared. You think of him, you think of his family. You think of a million other places that the ball could have gone, other than where it did. Why there? It really is just a freak accident of physics. A move to the left or the right, a little more or less force on the ball, and things would’ve turned out differently. Fortunately, Huff is okay.